Victoria, BC, Canada – Reliable Controls is pleased to announce the release of RC-Studio 3.6, which introduces a number of new features in order to improve productivity. New Features in Simulator Mode include fully functional templates, update and restore functions. New Capability to add Multiple Simulated Devices at once using the Add Simulated Device dialog box. New dialog box added for editing multiple objects in a System Group. New Template Features: Network Status Worksheet, SMART-Sensor™ Support, and MACH-ProView™ VIEWS Setup Dialog Box Support. New MACH-ProView Icon (with no display screen) and MACH-ProView LCD now labeled “MPV-L”. New localized languages: Spanish, Italian, Portuguese, and German, in addition to English, French, and simplified Chinese. RC-Studio allows users to fully program MACH-Series controllers and create dynamic graphical interfaces to third party BACnet devices. 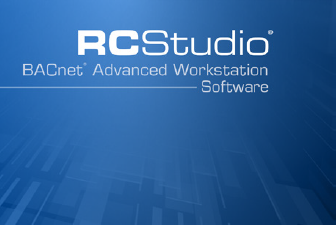 RC-Studio meets or exceeds the BACnet Advanced Workstation (B-AWS) profile and is the ultimate all-in-one engineering tool for the MACH-System.